Robots in Love! 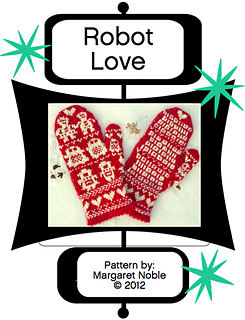 Robots and Hearts are on these mittens with the word LOVE spelled out in Binary code 3 times on the palms. 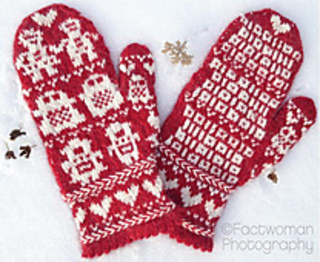 The pattern includes 4 different cuff pattern options and contains 4 sizes of mittens and instructions on how to measure for the right fit. 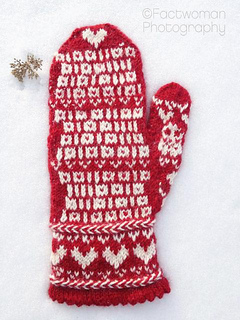 These mittens use 2 colors and are worked in the round with a gusseted thumb. I have also included a 2 page photo tutorial on how to make a Latvian Braid. 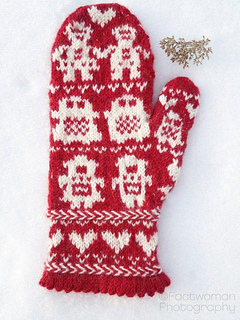 Learn a new skill and make a cute pair of mittens!